At the intersection of history and modernity, the Azerbaijani capital of Baku is an eclectic mix of east and west on the cusp of the Caspian Sea. Fondly referred to as ‘the windy city,’ Baku is the world’s lowest lying nation capital and enjoys mild weather throughout the year. With its enviable nightlife and cherished UNESCO World Heritage Sites, it offers travellers the best of both worlds, time and time again. 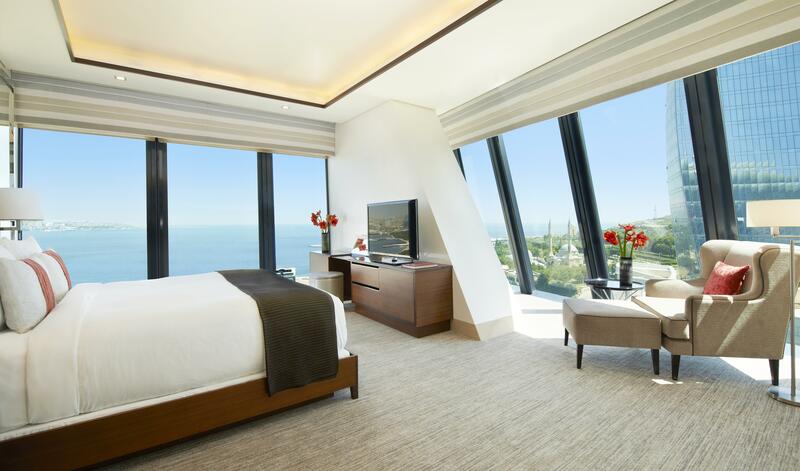 Located within the iconic Flame Towers complex, Fairmont Baku, Flame Towers overlooks the city and Bay of Baku from the top of a hill. 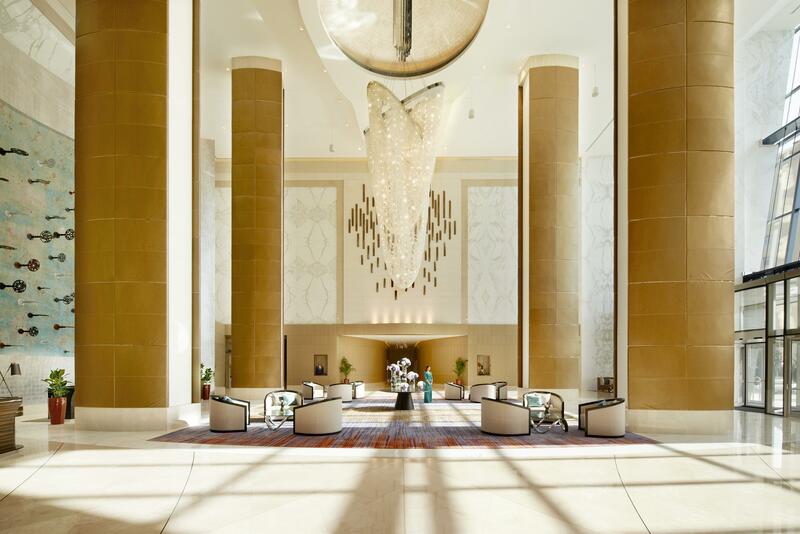 Opened in 2013, the hotel’s 318 guest rooms and 19 serviced apartments offer the latest in luxury furnishings and technologies for the seasoned traveller. By night, watch on from around the city as the three towers come alive with an LED light display that mimics the movement of a dancing flame. The Flame Towers are the tallest skyscrapers in Baku, with the complex and hotel offering an IMAX cinema, multi-level ESPA Spa, bistros, cafés, luxurious bars and restaurants. 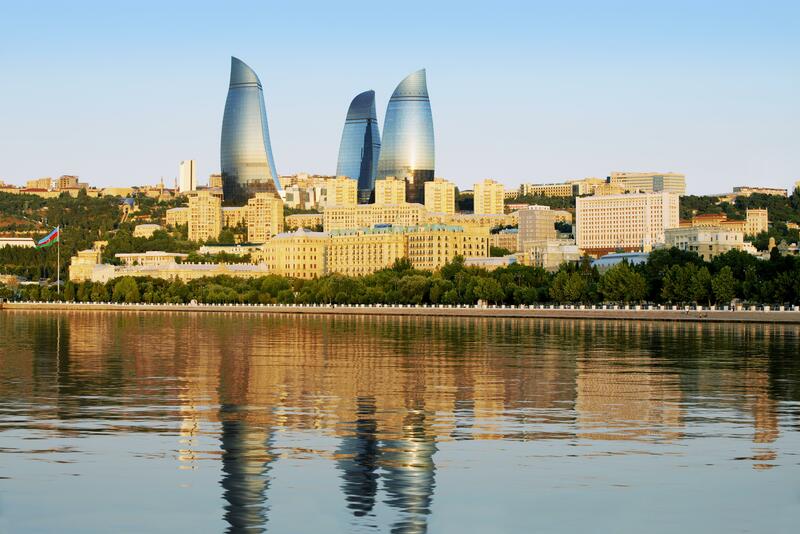 Architecturally, the towers reflect the cutting-edge design and architecture that Baku has become known for. With its fluid white waves and gleaming glass, the Heydar Aliyev Cultural Center is undoubtedly one of Baku’s most exceptional architectural attractions. Named after former president Heydar Aliyev, its museum, gallery and performance spaces are accessed by a grand internal staircase that melts seamlessly into its multiple levels and landings, creating the illusion of a single continuous surface. Admire the building from the outside as you take in the grounds and sculpture gardens, providing the perfect opportunity to capture that one-of-a-kind holiday snap. 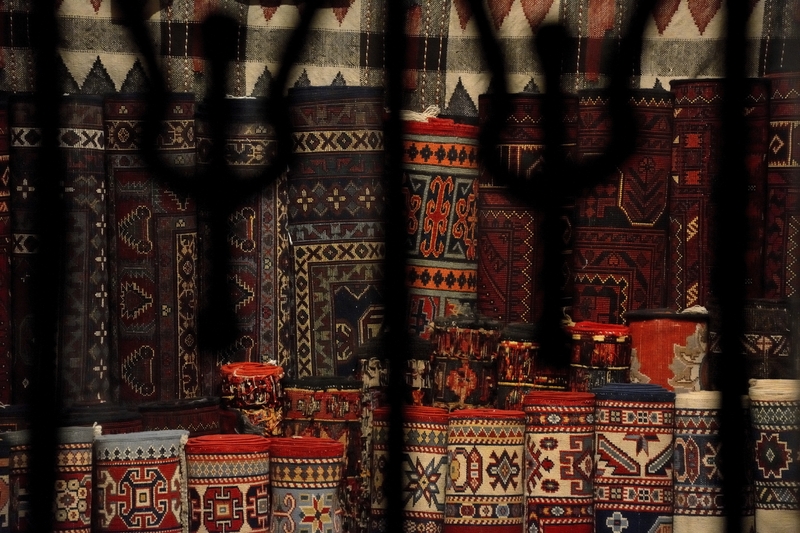 At the western end of Baku Boulevard, the Azerbaijan Carpet Museum is a quirky architectural ode to the craft and tradition it celebrates: a tri-level museum shaped like a giant roll of carpet. Baku Boulevard is a picturesque, tree-lined promenade hugging the Caspian Sea. Extending southwest from Freedom Square all the way to National Flag Square, the boulevard was built up inch by inch as buildings from the Soviet era were demolished and the Bay of Baku was filled in. 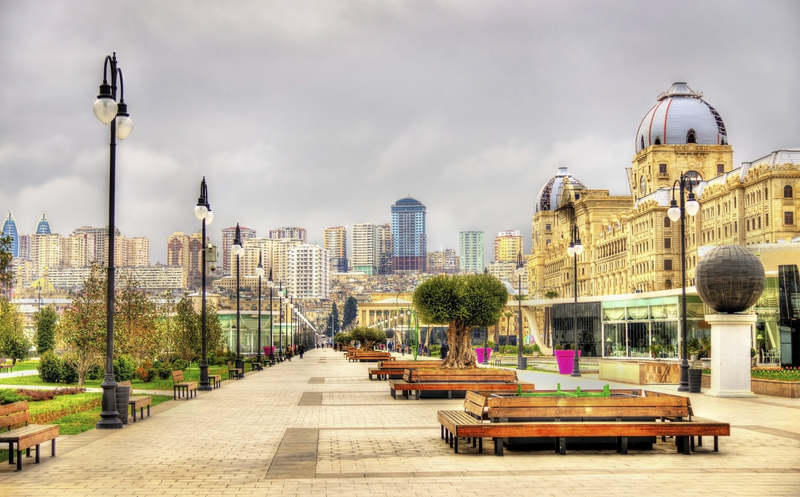 Once peppered with the mansions of Baku’s wealthy oil barons, Baku Boulevard is now a wide stretch of recreational space enjoyed by local joggers and tourists alike. Alfresco cafes, boutiques and sculptures dot the length of its tiled walkway, with the northern end home to Baku’s multi-story shopping mall, Park Bulvar. 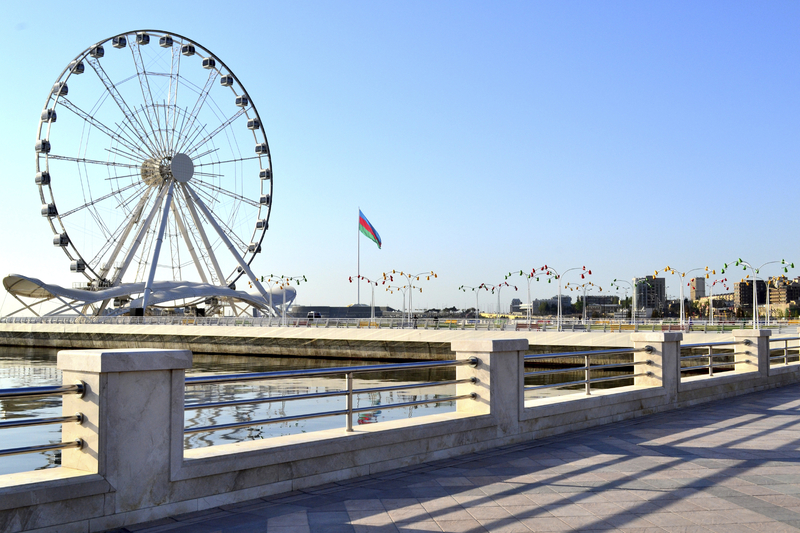 The boulevard is also home to an amusement park, a yacht club and, most recently, the Baku Ferris Wheel (or Baky Eye). For more than a hint of the high life, take a 15-minute walk to Nizami Street, one of the world’s most expensive shopping strips. With its Baroque-inspired architecture and distinctly Parisian feel, Nizami Street and nearby Fountain Square are the unofficial playgrounds for Baku’s elite, where bars and clubs stay open into the early hours. 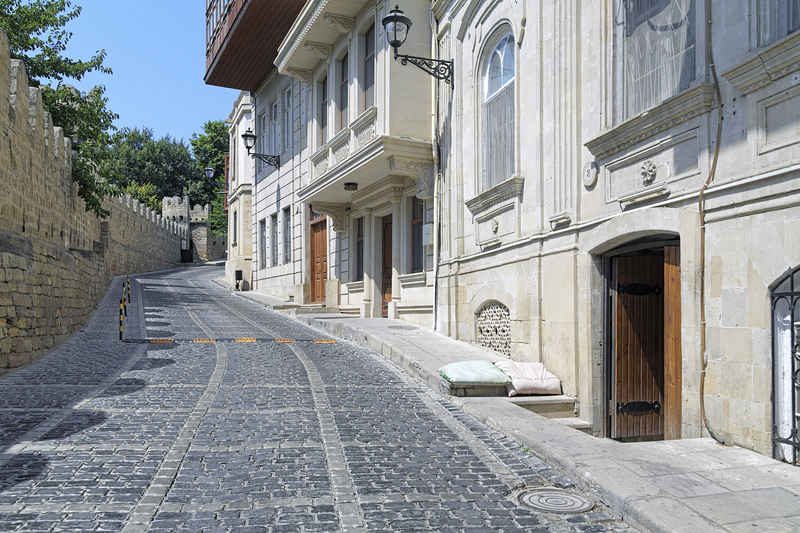 When it’s time to take a break from 'the new Baku,' the rich history and cultural relics of its storied heritage are right there at your fingertips. The Old City of Baku, along with nearby Maiden Tower and the Palace of Shirvanshahs, became dedicated UNESCO World Heritage Sites in 2000. The Old City is surrounded by ancient walls and towers, and is made up of cobblestone streets and narrow alleyways that run off the main thoroughfares Boyuk Gala and Kichik Gala. Visitors will be spoiled for their choice of souvenir shops, restaurants and cafés in the Old City, but for an authentic Azeri taste, stop in to The Art Garden for a serving of 'plov' – a rice pilaf dish with dried fruit and chestnuts – in the caravanserai (an ancient courtyard complex). Wash your meal down at a nearby chaykhana, an Azeri teahouse where spiced tea is served with preserves and sweet treats. 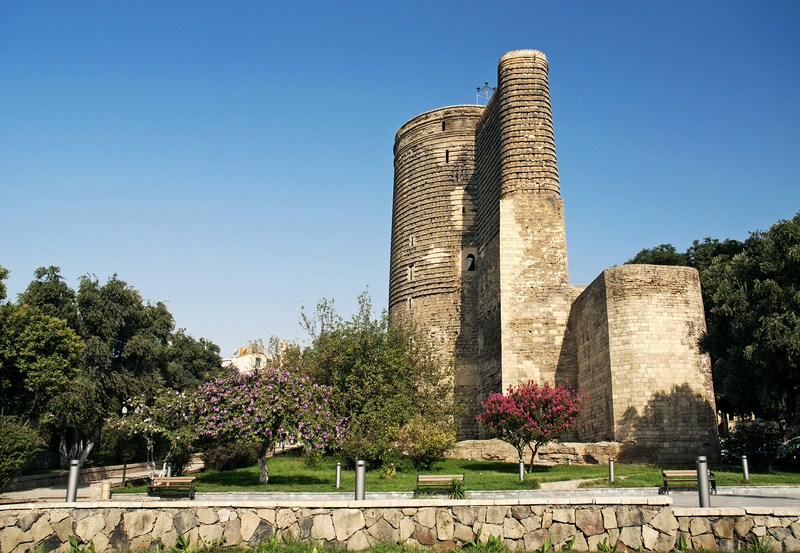 Built some time in the 12th century, the true purpose of Baku’s Maiden Tower is unknown to this day. With its towering cylindrical walls, most locals believe it to have been a watch tower during ancient Mongol invasions, but Azeri folklore has it that it was built as a prison for a princess who threw herself to her death when forced to marry a man she didn’t love. Today, the tower operates as a museum and gift shop, presenting the history and evolution of Baku. Its rooftop is accessible to visitors, and offers outstanding views of greater Baku and of the minarets and alleyways of the Old City. Baku’s second UNESCO offering is the Palace of the Shirvanshahs, an imposing stone complex with mosques, mausoleums and an ancient bath house. 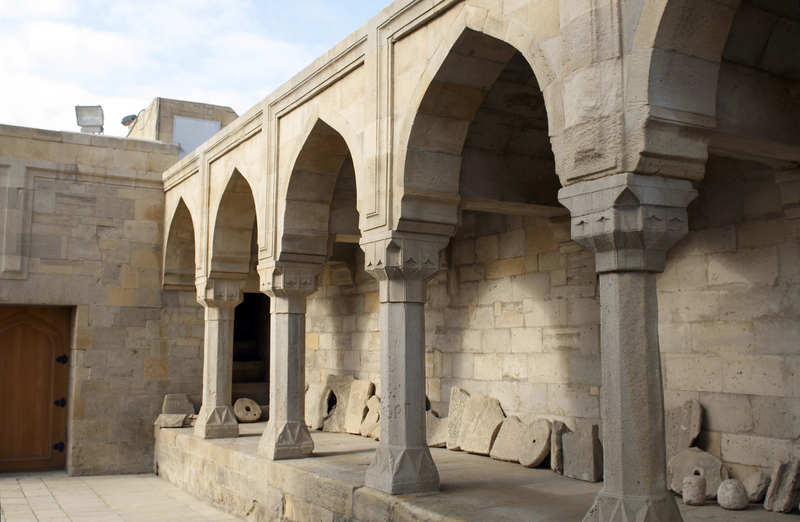 Built by the Shirvan Kingdom in the early 15th century following a series of devastating earthquakes, the well-preserved Palace of the Shirvanshahs offers visitors a glimpse into Baku’s epic and opulent past. Both the palace and Maiden Tower are national emblems of Azerbaijan, and appear on its currency and official seals. For the ultimate fine dining experience, make a reservation at Chinar, one of Baku’s most fashionable restaurant bars. Its leafy outdoor terrace is the perfect place to unwind, complete with elegant water features and ornate bamboo screens for privacy. Request a table with a view of the kitchen, where guests can watch as the chefs prepare Asian fusion cuisine with Chinar’s customary flare and finesse. Even better still, Chinar is located at the southern terminus of Baku’s funicular, which you can ride up the hill back to the hotel. Famous for its clubbing culture, the true pulse of Baku nightlife beats to the sound of jazz. Aside from its 2011 Eurovision win, Azerbaijan’s most significant contribution to the world music scene is undoubtedly Mugham jazz, made popular by legendary jazz pianist and composer Vagif Mustafazadeh. In spring, jazz musicians and enthusiasts descend on Azerbaijan for the Baku International Jazz Festival, now in its 7th decade. Fairmont Baku, Flame Tower’s own Alov Jazz Bar features live music nightly, and serves cocktails and light bar fare into the early hours of the morning. Fairmont Baku, Flame Tower’s Fairmont Gold guests are privy to the next level of luxury and service during their stay, including an exclusive floor and concierge dedicated to guests’ comfort and privacy. With sweeping views of the Caspian Sea and the Old City’s winding cobblestone streets, Fairmont Gold’s guest lounge and suites celebrate the truly historic and beautiful Baku and invite their guests to do the same.